– working together globally to share faith and change lives. For over two thousand years the sharing of faith by the first disciples has shaped a changing world. In the last few hundred years new mission movements were birthed as the passion of Christians travelled with a message of faith, hope and love for all. And in the last fifty years we have seen the amazing growth and strength of the church and Christians across the global South, as they have taken up the call to join God’s mission. Faith2Share is a relational Christian network connecting local and global mission movements, leaders and practitioners, equipping them to form collaborations that work effectively together to see faith changing lives all over the world. we prioritise working together with mission movements from the global north and south who particularly demonstrate an intention of working together. we focus our support to mission leaders, creating new opportunities for them to connect, learn and grow in leadership. we enable effective collaborations between organisations, focusing on key mission issues and opportunities, and demonstrating what working together can achieve. we impact the lives of people across many different cultures, developing global Christian discipleship, leadership and faith for a changing world. Our core values are relational and based on sharing faith together. The Faith2Share network is international, multi-cultural and evangelical. We are committed to mission partnerships with local and national churches as well as international organisations and movements. Network members come from a range of different church traditions and mission histories; several having been inspired by 200 years of mission in the spirit of John Venn, the founder of the Church Mission Society, William Wilberforce and other Christian mission leaders. Our mission is to enable effective collaborations between mission movements and leaders – working together globally to share faith and change lives. our strategy, purpose and values. Christian mission in the twenty-first century has become the responsibility of a global church. 2000 – 2001 General Secretaries of six CMS agencies (in New Zealand, Australia, Nigeria, Britain, Ireland and USA)met in London and then Singapore to explore collaboration in mission. 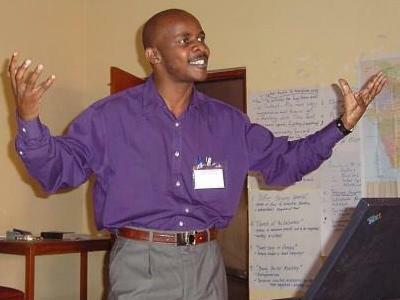 2002 - 2003 At meetings in Nairobi and Dublin other mission leaders joined the original group both making it ecumenical and bringing in representation from indigenous Asian and African movements. - A website was launched to facilitate mission collaboration. 2006 – 2009: Annual Leadership Consultations were held in Sydney, Ambridge (USA), and Bangkok. 2009: Faith2Share registered as a charity and our first international trustees were appointed. - Faith2Share invited to join WEA sponsored Global Mission Round Table. 2011: Regional consultations in Hyderabad, India; Wellington, New Zealand; Abuja, Nigeria and Stuttgart, Germany. - Faith2Share takes on facilitation of Lausanne-Orthodox Initiative for five year period. - ‘Emerging mission movements' integrated as full members bringing membership to around 30 movements. - 'Depth Discipleship' programme launched with first 'Depth Discipleship' consultation in Mirik, India. - 37 mission movements now in full membership of Faith2Share. Faith2Share is a rich network of mission movements and agencies in many different parts of the world. You will find a great deal of information about our members on their own websites but here we seek to answer some of the initial questions you might have. 1. Who are the Faith2Share members? 2. What are mission networks about? 3. What other mission networks are there? 4. What do you mean by international, multi-cultural and evangelical? 5. How does a mission movement join the Faith2Share network? 6. How do I join a mission movement? 7. How is Christian mission changing? 8. Why do we share faith? Who are the Faith2Share members? Faith2Share network members are all Christian agencies or movements who share a common conviction that humanity benefits when people of faith can openly share that faith with each other and encourage each other to live in ways that reflect our faith convictions. Some of us have been around a long time. The oldest member, Church Mission Society (Britain), began in 1799 when a group of Christians in London, UK, including John Venn and William Wilberforce, saw the importance of ending the slave trade and overcoming other social evils. Their driving force was the good news of God’s love demonstrated by Jesus Christ and they wanted to share this with others. Some of us are quite young. Mission Together Africa was started by Kenyan Christians just a few years ago and Mission Together Inc. in Canada began only in 2008. Both of these new movements help local Christians, in Kenya and Canada, to get involved in God’s mission in many parts of the world through prayer, short-term service, long-term service and giving. What are mission networks about? One of the joys of being human is that we are all different. We relate to God in different ways and we share our faith in different ways. Naturally this means that the world is full of different mission movements and agencies. Some focus on a particular part of the world. Some specialise in a particular type of work such as community medicine, work with students or radio ministry. Some bring together Christians who share a common experience of God or a particular faith tradition. Difference enriches human experience but it can also cause division and misunderstanding. Networks understand the fact that we need each other, that together we are stronger. Networks enable us to share our skills, our insights, and our resources with each other for the common good. Increasingly we live in a network world with commercial enterprises, charities, interest groups and governments sharing information, expertise and resources. Mission networks seek the glory of God as they bring God’s people together to establish God’s kingdom. They involve a lot of ‘give and take’, time for listening and understanding, and an attitude of welcome. Mission networks don’t try to make us all the same – in fact they only work because we are different and can enrich each other. There are many mission networks. They also are different and they too can network together to strengthen each other. What other mission networks are there? There are a quite a few different mission networks, each with specific objectives. Here we can only make reference to a few. Examples are given for each type of network. Some networks are global and provide a space for reflection on global mission issues. The Mission Commission of the World Evangelical Alliance would be one such network. Other global networks specialise in integral mission ( Micah Network ), theological reflection and mission education (e.g. International Association for Mission Studies), a particular type of ministry (e.g. International Substance Abuse and Addictions Coalition), or for prayer (e.g. Global Day of Prayer). Other networks bring together missions from a particular nation or region. 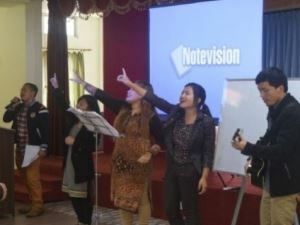 Some of the larger of these networks are the India Missions Association, Nigeria Evangelical Missions Association, Global Connections (in the UK), COMIBAM (Latin America), Philippine Missions Association, Korean World Mission Association, and Mission Exchange and CrossGlobal Link (in the USA and Canada). One interesting new network bringing together fresh initiatives in mission in Africa is the Movement for African National Initiatives. Similar new networks exist in Asia and Latin America. Finally some networks grow out of the ministry of one single agency as they grow and plant indigenous missions around the world. Examples of these are Food for the Hungry and SIM. What do you mean by international, multi-cultural and evangelical? The Faith2Share network is intentionally international, multi-cultural and evangelical. What does this mean? INTERNATIONAL: There was a time when nearly all Christian mission originated from North Africa (in the 4th century) or Europe (in the 19th century) but today Christians from all six continents are active in mission. The Faith2Share network seeks to reflect this global response to God’s call to mission by including movements and agencies from each continent. MULTI-CULTURAL: However rich our experience of God is within our own culture this can never be complete. God and his engagement with humanity are much bigger than that. As each culture discovers God at work in their midst our corporate understanding of God’s nature and activity grows a little more. The Faith2Share network believes that as Christians of many different cultures work together in mission our experience of God at work amongst us is enriched in exciting ways which enrich our live as human beings. EVANGELICAL: As our network values explain, Faith2Share members believe that Jesus Christ is unique and central to our salvation. We read the Bible as the Word of God. We long to see others following the ways of Jesus so that children, women, men, whole communities and creation itself can be transformed by the power of the Spirit of God. The faith which we have to share with others is centred on Jesus the eternal Son of God. How does a mission movement join the Faith2Share network? The Faith2Share network began quite informally with a group of five mission agencies in Europe, Australasia and the USA who shared a common history and wished to work together more closely. Between 1999 and 2006 we grew into a more formal network with a shared purpose and values. The founder members now take responsibility for inviting others to join the network. Once an application to join the network is received by the network coordinator leaders of the movement or agency will normally be invited to attend the annual leadership consultation as observers before a final decision on membership is taken. How do I join a mission movement? Which came first, mission or the church? Many of us think of mission as an extra, almost an optional extra, that Christians get involved in after they join a church. In fact the church is the result of mission, not the other way round. Jesus of Nazareth never founded a church but he lived his whole life as an expression of God’s mission (God’s reaching out) to humanity in love. Jesus promised to establish his church (which simply means ‘gathering of Christians’) on the rock of Peter, one of the most active early missionaries. As Peter and the early Christians shared their faith in God (mission) so people began to gather together to share their common faith in worship (church). If you have found that Jesus helps you understand God’s ways then you might want to be part of his movement. You might want to join a mission movement, a movement that helps others to discover whether they also want to follow Jesus. Of course, you may also want to join a church! There may be many mission movements or agencies in your country. You may want to look at the list of Faith2Share members, look at our Go Serve page, talk to your local church leader, search on the internet or contact the Faith2Share coordinator for advice. How is Christian mission changing? The first large group of missionaries were Christians refugees fleeing from persecution across ancient Syria, Turkey and Greece. Later traders and merchants shared their faith in Central Asia and China along the Silk Roads. Much later monks took their faith to Ireland and Russia and were followed by Protestant missionaries from Europe and North America going to Latin America, Asia and Africa. People have always shared their faith but the ways in which this happens keeps changing. In 2010, the centenary of the 1910 Edinburgh Mission Conference, several events and a study process will look at how mission is changing today. Details here. Today Muslims in Europe share their faith commitments with Germans and Czechs. Most Christians now live in Africa, Latin America and Asia and so it is natural that we should find Brazilians, Koreans and Nigerians actively seeking to share their own rich experience of God in Jesus Christ, not only at home but around the world. Faith can be shared by ‘being with’ others, by sacrificial service, by transforming broken communities and in dialogue and proclamation. More than ever we see faith today being shared in all of these ways and more. One new way in which faith is shared is through Business as Mission. Faith is most often shared by mothers, friends, business partners, care givers and children during the course of everyday life, but there is still a vital place for those who give up much of their life to sharing faith with others. Why do we share faith? Whether we are Buddhist or Christian, Jewish or Muslim, or a member of any other faith community or none, our faith concerns every aspect of life and addresses some of the most fundamental issues we face. Each of us develops a system of beliefs, a worldview, whether that system is theistic (includes God) or atheistic. As these beliefs are so basic to who we are and how we understand the world it is only natural that we should discuss these with other people. Members of the Faith2Share network see no purpose in 'selling' faith or imposing ideas on others but we do give a very high value to sharing faith. We believe that we have much to learn from, as well as to offer to, others as we explore our respective faiths. We actually believe that trusting God is the very best thing we ever did and it is that 'good news' that we offer. Faith sharing requires that we respect one another, give time to listening as well as to speaking, are prepared to learn and to reconsider our own opinions, and above all that we are actively living by those things we believe. Within the Faith2Share network we have many who have given most of their lives to listening and sharing with people who have different faith commitments from us. They will tell you that they have grown much deeper in their own faith because they were able to share with others. • Our vision is to see faith changing lives all over the world. • Our mission is to enable effective collaborations between mission movements and leaders – working together globally to share faith and change lives. • Faith2Share is a relational Christian network connecting local and global mission movements, leaders and practitioners, equipping them to form collaborations that work effectively together to see faith changing lives all over the world. …we prioritise working together with mission movements from the global north and south who particularly demonstrate an intention of working together. …we focus our support to mission leaders, creating new opportunities for them to connect, learn and grow in leadership. …we enable effective collaborations between organisations, focusing on key mission issues and opportunities, and demonstrating what working together can achieve. …we impact the lives of people across many different cultures, developing global Christian discipleship, leadership and faith for a changing world. • Our core values are relational and based on sharing faith together. • To strengthen indigenous movements of the mission of God. • However, collaboration (initially between Father, Son and Holy Spirit) is at the heart of mission and all Christian communities have gifts to give to and receive from others in mission. • Building collaboration in mission. • We provide network structures, and actively seek opportunities to, enable and enhance collaboration.